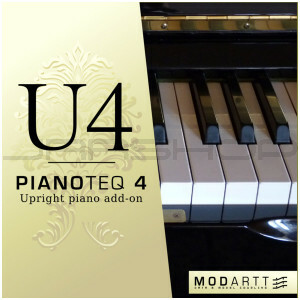 Eagerly awaited by many Pianoteq users, Modartt proudly presents the very first upright piano model for Pianoteq — the U4 add-on. 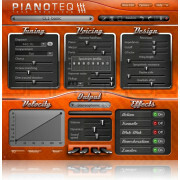 It is available for version 4.5 of Pianoteq. 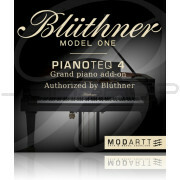 In contrast to the grand piano, the upright piano is vertically strung and has a vertical soundboard and bridges, as well. The first variant resembling to an upright piano appeared in 1739 and a more modern variant in 1800. 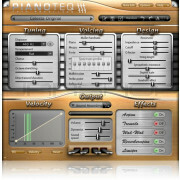 Mass production followed as the instrument improved by the addition of an iron frame and a larger octave range. The compact size and affordable price made it increasingly popular for use in many smaller music halls, pubs and private homes. 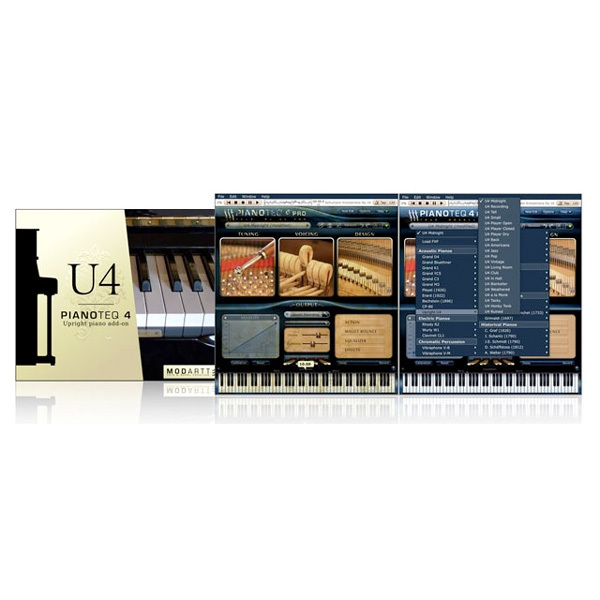 Legendary composers such as Scott Joplin, George Gershwin, Duke Ellington, Thelonious Monk, Jerry Lee Lewis and Little Richard all started their music careers on upright pianos. In the microphones section (Standard and Pro version) you can set the distance to the nearest wall and position microphones and the lid. This new, movable wall was designed exclusively for the U4.